A short time ago, Aiden, a one-year-old lab/husky mix was on his own in the wilderness in southern Georgia. He was suffering from open wounds, a serious skin condition and heartworm. Today he is recovering comfortably in a rescue facility in South Carolina with every expectation that he will end up in a loving, caring home in New Jersey. Aiden, on his way to recovery. The Tess McIntyre Foundation is proudly sponsoring Aiden through a donation to Home for Good Dog Rescue, the Berkeley Heights, N.J., charity under whose care Aiden is currently recovering. Aiden was originally found by the Friends of Screven County Animals in Sylvania, Ga. He was in pretty rough shape. The vet who treated him said his wounds appeared to be intentionally inflicted and that he was likely a victim of abuse. From living on his own in the woods, he had lost hair from his skin condition and was very thin. On top of everything else, he was diagnosed with heartworm. Aiden is now on crate rest at Home for Good’s facility in Aiken, S.C. He has had the opportunity to play outside with other dogs and has put some weight on his undernourished frame. He has been receiving treatment for both the skin condition and the heartworm. As you can see from the photo, he has a beautiful coat which is in the process of growing back. 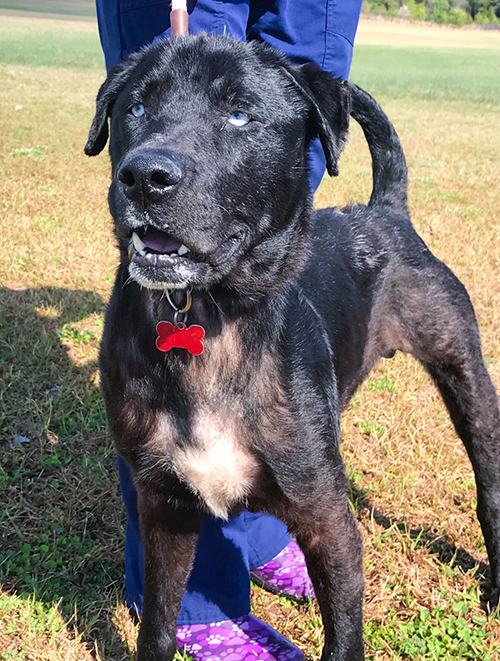 Once he has recovered sufficiently, he will be transported in a rescue van to New Jersey where he will stay with one of Home for Good’s foster families while awaiting adoption. 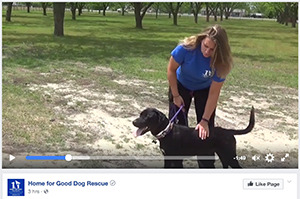 Home for Good Dog Rescue is a 7-year-old non-profit. It is 100 percent foster based. They go to high-kill shelters in the South and bring the dogs targeted for euthanasia to New Jersey where they are cared for by foster families until they are adopted. It was after finding that some of the dogs in these shelters were not healthy enough to make the trip north that Home for Good built a medical care facility on donated land in Aiken, S.C., where the rescued animals can recover their strength and health before making the trip north. Since they were founded in 2010, Home for Good has saved more than 5,000 dogs. The Tess McIntyre Foundation is a 501(c)3 charity founded in 2015 in La Quinta, Calif. Through donations to services like Home for Good the foundation is dedicated to helping rescued dogs receive the medical attention they need in order to be adopted.